When you browse the Green Sleeves website, you do so anonymously. No personal information such as your name or e-mail address are collected automatically without prior notice. The web server on which the Green Sleeves website resides logs only your IP address and your browser type (Internet Explorer, Firefox, etc.) to better understand visitor traffic patterns, browser usage as a whole, and identify popular areas of our site. However, Green Sleeves will not link your IP address to any personal identifiable information (PII). 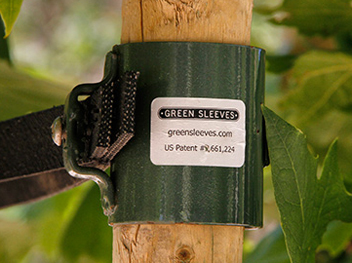 In the case that you contact Green Sleeves with a question or support need, any information such as your name or email address will be logged in our database. In no instance will this information be made available to third parties. In no instance will you be put on a mailing list for Green Sleeves unless you specifically request it. We use the information we collect in several ways: to answer your questions and support needs quickly and efficiently; to help you quickly find services and information on our company and to help us create web content which is most relevant to you.